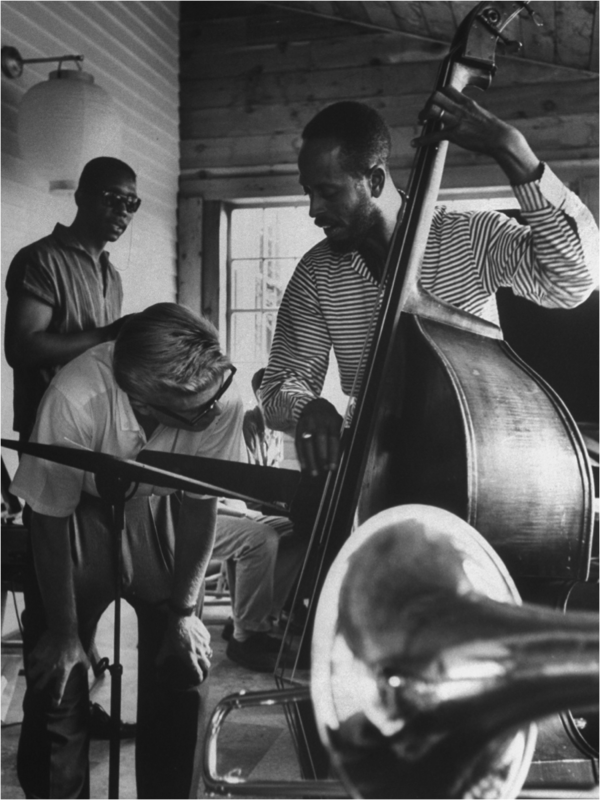 Born in the early 20th Century, Jazz is an exquisite blend of European and African sounds that make it uniquely "American." Have you ever attended a jam session or jazz performance and asked yourself: "How does this work? How do the musicians know what to play?" The drummer sets the tempo (how fast or how slow the music moves) and the groove (how the beat is interpreted and/or felt). The drummer may choose a swing feel, for example, where the emphasis is placed on the "off beat". The singer or instrumental soloist generally chooses the song. Many "jazz standards" are selected from the Great American Song Book written by Richard Rodgers and Lorenz Hart. You will hear the musicians (drums, bass, piano and/or guitar) play the song one time through and then go back to the start of the song. This is where the improvisation comes in. The musicians will go through the "form" of the song again and instead of playing the original melody, they improvise or play what they feel, not what has been written for them, over the original melody. They know what to play because they have practiced the scales or modes that these songs have been written in. When they "improvise" they choose the notes and rhythms that feel right to them in that moment. Often the players are inspired by what the other musicians are playing. The best musicians of our time combine their knowledge from practicing, lessons they have learned in life, the influence of their contemporaries, and their whole heart, soul and passion as this is how one makes art. Thus, this is Jazz. Some of these musicians are listed below. It is highly recommended to listen to them if you want to learn more about jazz. Ella Fitzgerald: "The first lady of song" was the most popular female jazz singer in the United States for more than half a century. In her lifetime, she won 13 Grammy awards and sold over 40 million albums. Listen here! Nina Simone: Born Eunice Kathleen Waymon (February 21, 1933 – April 21, 2003), Nina Simone was known as the "civil rights singer." Her technique was impeccable, her style genius and her heart always devoted to social justice. Nina Simone was a classical pianist, jazz vocalist, songwriter and arranger whose hits include: "My Baby Just Cares for Me," "I Loves You Porgy" and "Nobody Knows You When You're Down and Out." Listen here! Miles Davis: (May 26, 1926 – September 28, 1991) Davis was an American Jazz Musician. He was a trumpet player, bandleader and composer. 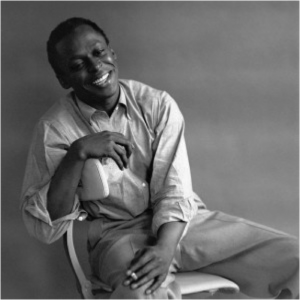 He was considered one of the most influential musicians of the 20th century, and it has even be argued that jazz stopped evolving in the 90's when Davis wasn't there to push it forward. Listen here! Louis Armstrong: (August 4, 1901 – July 6, 1971) Armstrong was a jazz singer and cornet and trumpet player. His flirtatious style and personality brought him millions of fans. Some of his most popular songs include: "Big Butter and Egg Man," "Hotter than That," "West End Blues" and "Body and Soul" Take a listen here to find all these hits and more. Billie Holiday: (April 7, 1915 – July 17, 1959) She changed the art of American pop vocals forever. She was one of the first vocalists that actually lived through what she was singing about. 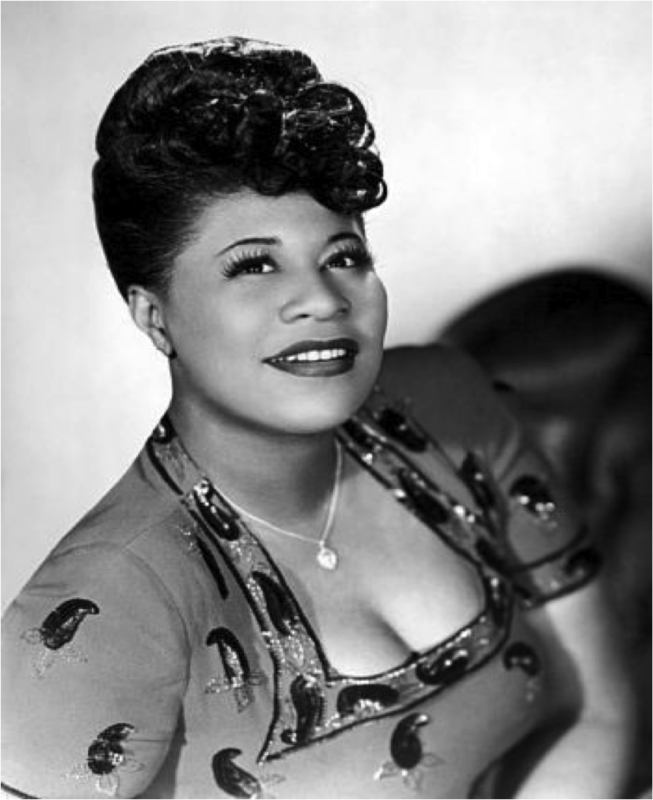 Some of her most popular performances include: "God Bless the Child", "Don't Explain", "Fine and Mellow", and "Lady Sings the Blues." Listen here! Dizzy Gillespie: (October 21, 1917 – January 6, 1993) Along with Charlie Parker, Gillespie helped established the famous bebop style. Gillespie was a trumpet player, famous for his "swollen cheek" trademark. 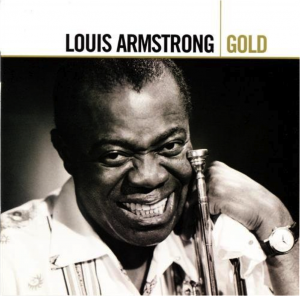 Popular recordings include: "A Night in Tunisia" and "blowing the blues away." Listen here!